Slight cosmetic blemishes, discoloration and loss of luster are possible, but will not affect the integrity and performance of the ball. Player pen markings and logos of all shapes and sizes can be present. 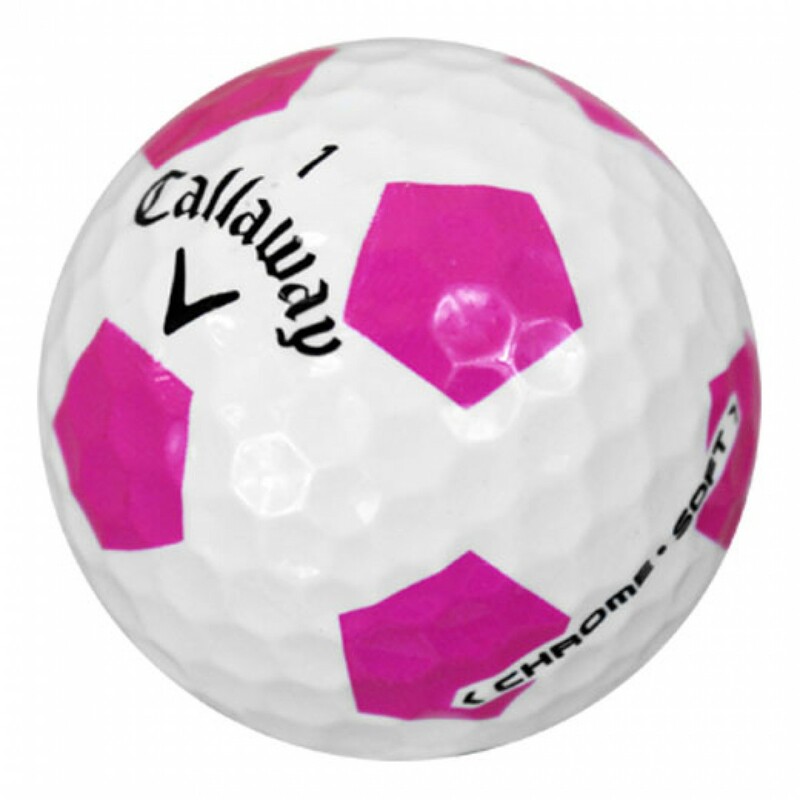 Callaway Chrome Soft Truvis has a SoftFast Core with a Tour Urethane Cover that has a Truvis design.This ball has low spin off the tee for exceptional distance and is a three-piece low compression ball. If you are looking for distance with a soft feel around the greens the Callaway Chrome Soft Truvis would be an option for you!